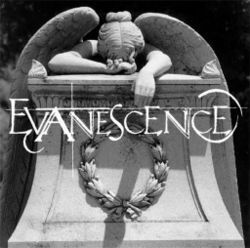 Evanescence EP is the first EP from Evanescence; released by Amy Lee and Ben Moody at a concert in 1998 as an unmarked CD-R. Since there were only 100 copies made, it is very rare. The album was to include four more songs, but they were taken out just before the release. This page was last edited on 14 February 2008, at 01:23.